We get it. Holiday shopping can be hard. How do you get everyone on your list something personal and fun, without breaking the bank? This is where the Eau Claire Regional Art Center Gallery (official name to be announced in January) steps in. 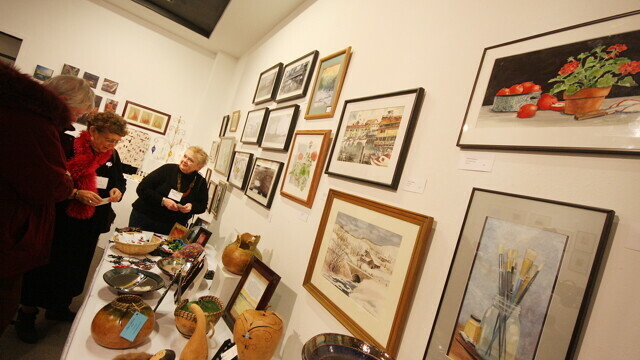 Showcasing the talents of more than 40 local artists, the Holiday Art Fair has a whole myriad of original and unique gifts, perfect for holiday gift-giving. Ranging from hand-crafted jewelry and pottery to handmade Christmas ornaments and cards, there’ll be plenty of one-of-a-kind gifts with which to stuff everybody’s stocking. The exhibit runs from December 2 to 23, with an Artists’ Reception on December 9 from 6 pm to 8pm, which will coincide with the L.E. Phillips Memorial Public Library Gallery’s reception. Admission to the reception is free, as well as to the month-long exhibit. The ECRAC Gallery is open weekdays 9am to 4:40pm, Saturdays 10am to 2pm, and Sundays during main stage productions.